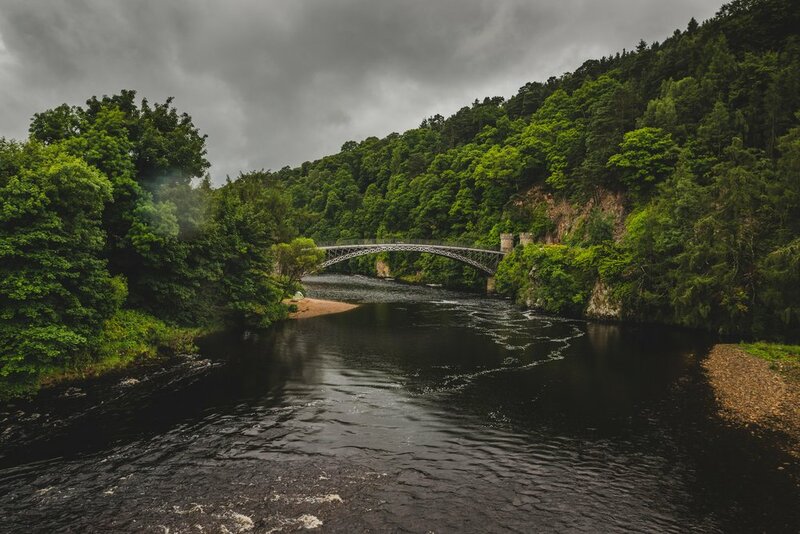 We actually visited Craigellachie Bridge last year, and I thought I had done a blog post on it, I can even remember writing it, but apparently I never, maybe I deleted it or something, so let's just consider this the do-over! On our way back from Fochabers the other week, we went through Craigellachie to check out the bridge and get some better shots than last time, but unfortunately, someone had pitched their tent right on the little beach area below the bridge which gives the most perfect view of the bridge, so we couldn't shoot there. 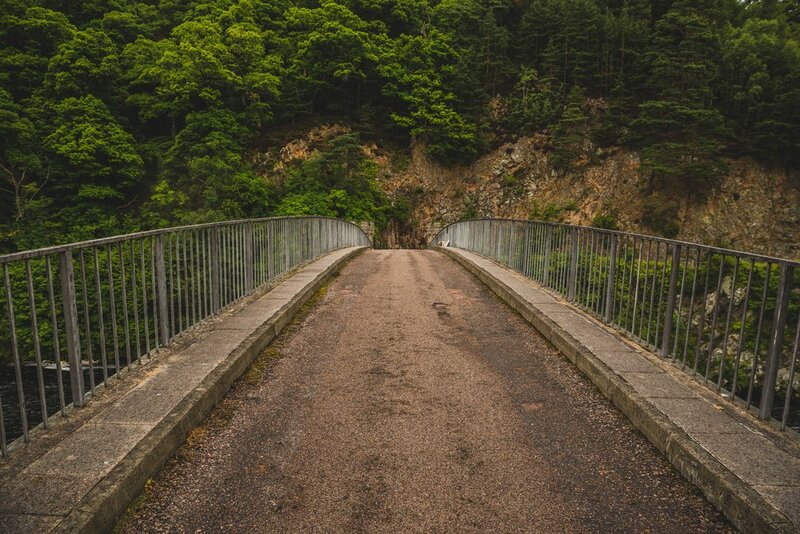 Instead, we headed down an access road to get around the other side to take some shots from that angle and it definitely didn't disappoint, the bridge is very impressive! So, a little bit of background about Craigellachie Bridge. 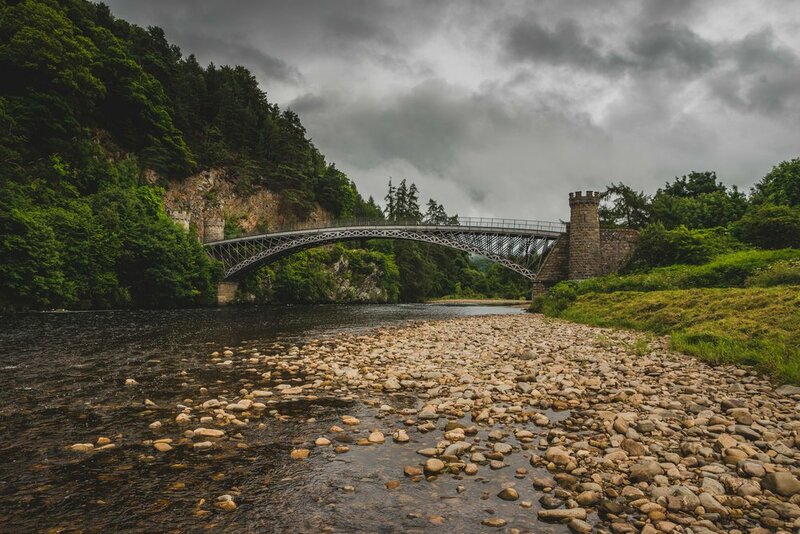 It is a cast iron arch bridge across the River Spey, and it was designed by renowned civil engineer Thomas Telford and built from 1812-1814, and has two high masonry mock-medieval towers at each end of the bridge. 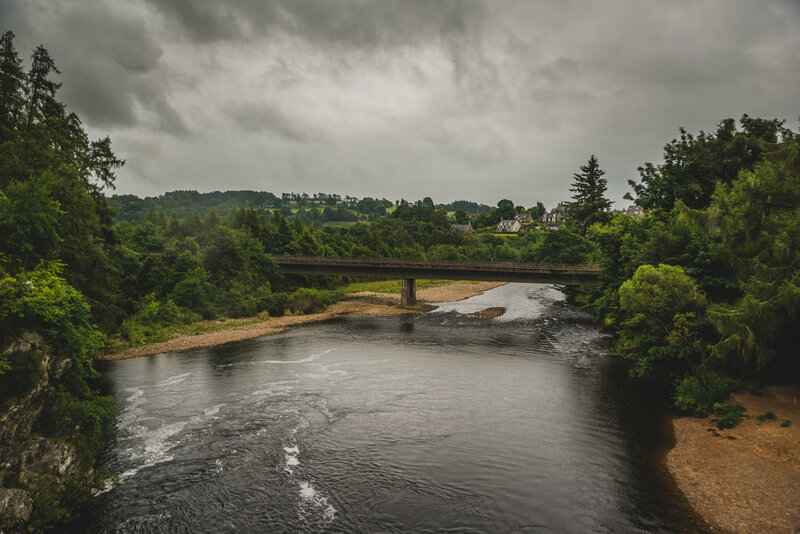 We hung about the bridge for a while, took some shots, walked across it and over to the other side and across the road and back to the small car park just outside Craigellachie, then headed to Lecht!